Pfew, I took me months to get him convinced, but finally it happened: another U2U colleague has started to blog: Kevin DeRudder! Kevin is working on ASP.NET, AJAX, … and recently was rehabilitated to the SharePoint religion as well! Anyway let’s hope he keeps on posting some good stuff, I’m already subscribed! Solving the Ticketmaster UX Problem. I’m on the train thinking about this ticket buying system. 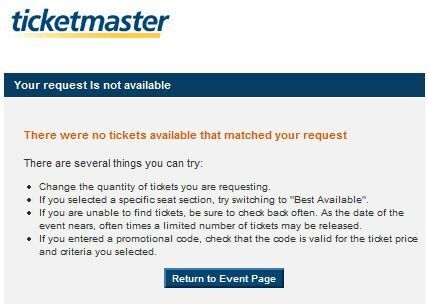 I mentioned today that the experience of buying tickets was the “worst” user experience which I’m sure leads to excess traffic which in turn leads to the web site falling over and a bunch of people being extremely unhappy. More demand than supply, no ability to queue for tickets in the traditional sense. No indication of ticket volume or availability. 1. Get interested people to pre register at the ticket master website. 2. Work out the number of tickets & the number of registered users. 3. 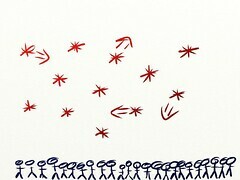 Put people in manageable groups. More people than tickets available. 4. Invite everyone into a “room” just before the tickets go on sale. S. Drop the tickets in move them around the screen and have people “try” and click on a ticket. Hell even have more crowded rooms for people wanting to buy a bundle of multiple tickets. 6. Once the tickets have all been clicked game over and everyone would have had a shot of buying some. This system would be easy to build in .Net with a WPF/E or flash UI. Is no one thinking about this stuff? lots of connectors and the best part is that extending it is incredibly easy. whitepaper tells it best, so go check it out. Secure SMTP/POP/IMAP, SMPP, SNPP, XMPP adapters and more. Lots of good stuff here. Somehow I had missed on reporting this one! 3.0 Adapter Framework (aka WCF adapter framework) included in BizTalk server 2006.
metadata in Line of Business (LOB) adapters like SAP or SQL Server. Worth a look. Red Hot Chili Peppers – Visa Pre-Sale! Yeah Right! I knew the visa pre-sale for Red Hot Chili Pepper tickets would be popular but this is ridiculous! I started at http://www.visaentertainment.co.nz I got to the site http://www.ticketmaster.co.nz/promo/wbismv the site became unresponsive at 9am when tickets went on sale. I got on at 9:01 am and got to the screen to choose my tickets… woot! The form let you purchase upto 50 tickets in one go! There was no indication of how many tickets were for sale and when they had sold out! After responding to the “cryptic code” to stop robots buying tickets I got this friendly message. I proceeded to try every combination of tickets for every seating option to find the same result in all. 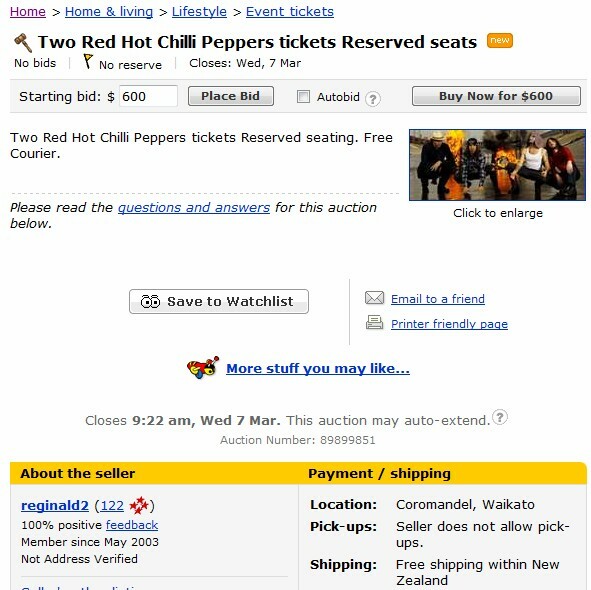 Good to see there were actually some tickets… they turned up on Trade Me at $600 each. After 30 minutes I finally found the solution. BizTalk does not refresh the new deployment automatically. 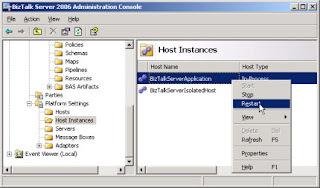 You should first restart the BizTalkServerApplication Host instance from the “Platform Settings – Host Instances” node in the BizTalk Server 2006 Administration Console. If that did not do the trick, you can also try to remove the orchestration from the GAC, redeploy it and then refresh the BizTalkServerApplication Host instance. MOSS and WSS 3.0 Best Practices Analyser available! Get it while it’s hot folks – some very nice tips in there. Our newest addition, Emma Teresa, arrived last Thursday without complications thankfully. She’s a beautiful little girl who keeps bringing smiles to our faces. We want to thank everyone who has reached out for your support and concern — it means a lot to us.